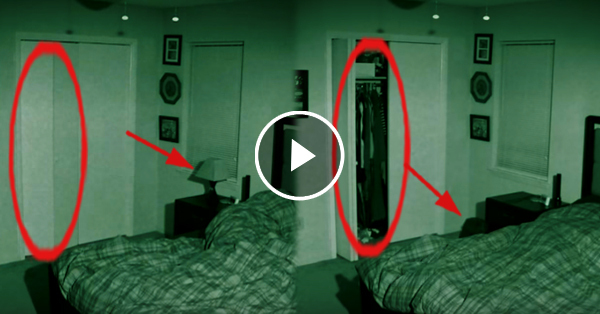 Bf decided to put a camera in the room of his Gf, what he captured was beyond what he expected! Home / Life / Bf decided to put a camera in the room of his Gf, what he captured was beyond what he expected! Most of the time, people does not notice all the things happening in their house especially at night. For them, the night is when they just wanted to lie on the bed and sleep after a long and tiring day. However, there are things happening that are really hard to explain like this incident where a man was able to capture an unusual happening inside the house of his girlfriend. He wanted to know what it keeping his girlfriend up and waking her up at night. The man decided to set up a camera on her room. The man was shocked when he was able to capture a footage of the cabinet doors opening by itself. No one was there except for the girlfriend who was in deep slumber.